The Scamp; the carry along, itty-bitty, awesome sounding amp that clips on to anything....even your purse! 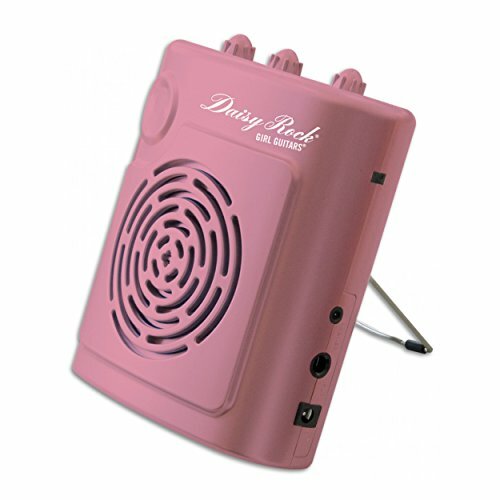 This 3 watt portable amplifier comes in a cool pink color, and has gain, volume, and tone controls. It also features a headphone output, and a pop-out tabletop stand built directly into the back of the unit to make listening to your playing even easier. And when not using your stand, you can simply stow it away. Powered by either a 9 volt battery (included), or a standard 9-volt DC adaptor (not included). Pick up a Scamp today, and rock out anywhere you want! If you have any questions about this product by Daisy Rock, contact us by completing and submitting the form below. If you are looking for a specif part number, please include it with your message.